Backsplash tile, like our Havenwood Saddle Chevron mosaic, is the perfect way to add character, texture, and pattern to your kitchen or bathroom design. The warm and rich shades of brown in this tile give it a realistic hardwood-look perfect for creating a stunning backsplash for kitchen or bathrooms. 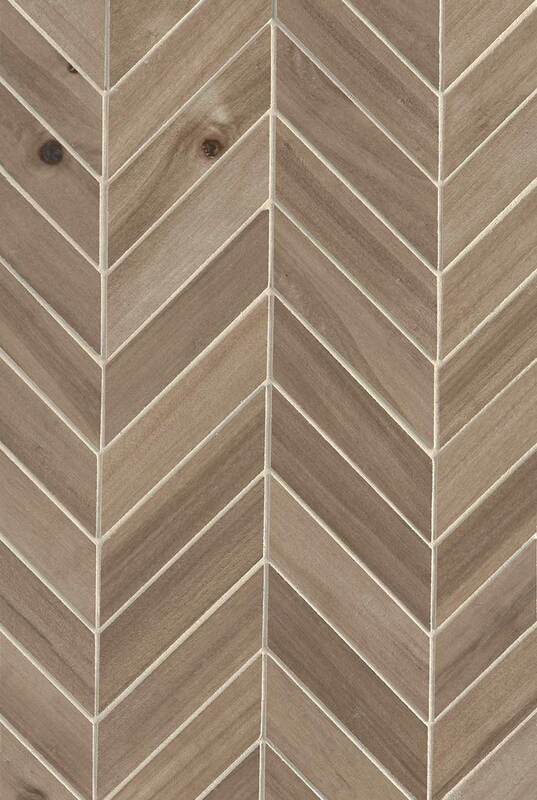 It partners beautifully with other tiles in the Havenwood collection and slabs in our inventory.